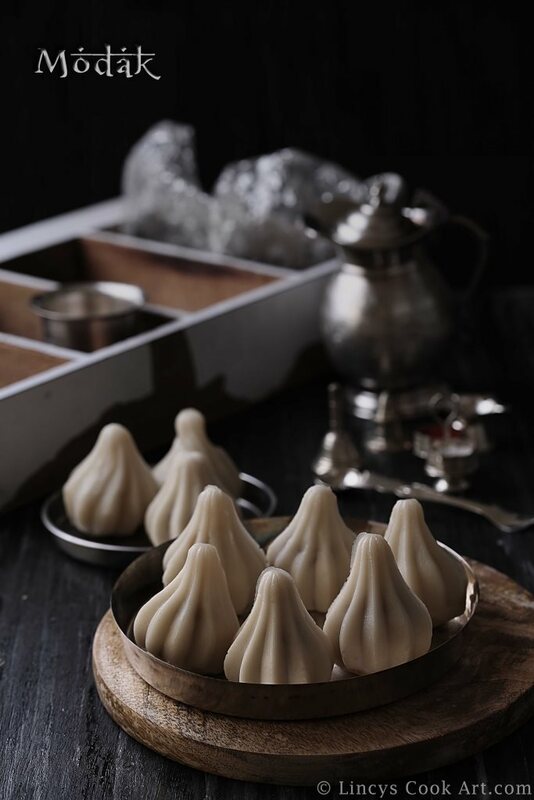 Modak| Modagam| Coconut poorna kozhukattai is a traditional sweet dumpling made for the Vinayaka Chaturthi. I love the coconut jaggery filled dumpling scented with cadamom. I could eat a filling cup just like that. This coconut jaggery filling is commonly used for Ganesh chaturthi. 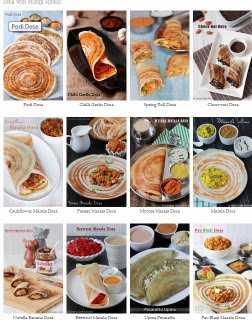 Nowadays many versions of kozhukattai exists but i could say this version is indeed the king of all kozhukattais. North Indians add some poppy seeds in the stuffing but make it in a same way. Simple yet delicious snack or dessert item perfect for festival seasons!!! In a pan add the jaggery with 1/4 cup of water and melt well to make a syrup. Strain the syrup if it has impurities. Once the jaggery syrup bubbles add the grated coconut and cardamom powder. North Indians add two teaspoon of poppy seeds(khus khus) with this. Add if you wish to. Cook on medium flame till the moisture from the mixture almost totally evaporates. If you touch the mixture it starts to stick in your hands. At this stage switch off the flame and allow to cool. Start to roll the coconut mixture into small balls when the mixture is slightly warm; set aside. If you use roasted rice flour| Idiyappam flour, add the rice flour, salt and oil inside a bowl. Heat water in a pan to a rolling hot stage. Now pour the hot water over the rice flour and mix with a spoon. Stop adding when the rice flour reaches a soft dough stage. Knead to make a soft dough. Divide the dough into lemon sized balls;set aside. Take a rice flour ball and roll inside the palm and flatten the ball; dip the finger inside water and spread to make a thin sheet as much as possible. Keep the stuffing inside and gather the edges by lightly pulling the dough; seal the edges tightly. Grease the mould with little oil. Take the rice flour dough (ball) and press into the cavity of the modak till it is evenly lined on all the sides. Fill the dough cavity with the stuffing and press well with out any gap. You could divide the filling ball into two and fill the cavity to prevent gaps inside. Grease a idli stand or any stemer vessel and arrange the kozhukattai on top.